Mother Teresa was born on August 26, 1910 in the capital of Macedonia, and died September 5th, 1997. In 1919, when Mother Teresa was 8, her father fell ill and died. While nobody knows the true the cause of his death many people believe that his political enemies poisoned him. After her father’s death, Mother Teresa became extremely close to her mother, a compassionate women who put a deep commitment to charity in her daughter. Mother Teresa lived most of her live in India teaching at Saint Mary's High School for Girls, a school dedicated to teaching girls from the city's poorest families in eastern Calcutta. Mother Teresa taught there for almost 20 years and was named headmistress in 1944. 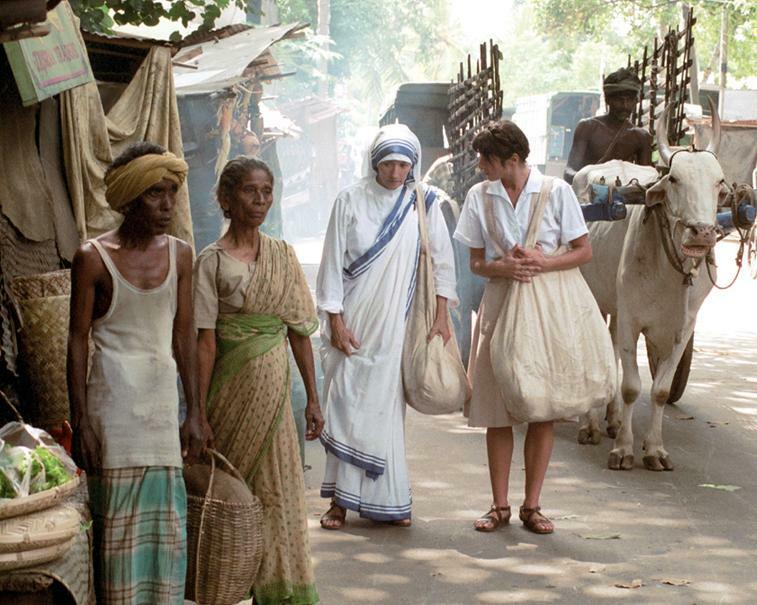 Although Mother Teresa enjoyed teaching at the school, she was disturbed by the poverty surrounding her in Calcutta. Which lead her to start the Missionary of Charity (a Roman Catholic religious congregation). As her congregation started growing donations started pouring in from India and from all around the world. Over the course of the 1950’s and 1960’s, Mother Teresa established a leper colony, an orphanage, a nursing home, a family clinic and a string of mobile health clinics. In 2012 it had 4,500 sisters and is active in 133 countries. Mother Teresa was dedicated to helping the poor and received a Nobel Peace prize for her humanitarian work. Mother Teresa attended a convent-run primary school and then a state-run secondary school. The congregation that Mother Teresa was a part of made an annual donation to the chapel of the Madonna of Letnice atop Black Mountain in Skopje, and it was on this trip at the age of 12 that Mother Teresa first felt a calling to a religious life. However, on September 10, 1946, Mother Teresa experienced a second calling that would forever change her life. She was riding a train from Calcutta to the Himalayan foothills for a retreat when Christ spoke to her. He told her to stop teaching and to work in the slums of Calcutta helping the city's poorest and sickest people. "I want Indian Nuns, Missionaries of Charity, who would be my fire of love amongst the poor, the sick, the dying and the little children," is what she heard Christ say to her. "You are I know the most incapable person—weak and sinful but just because you are that—I want to use You for My glory. Wilt thou refuse?" In taking up her calling, Mother Teresa has experienced a long and hard battle with her faith over her life time. Mother Teresa exchanged numerous letters with her church superiors, these letters reveal that for the last fifty years of her life, she felt as if God was not with her and would not answer any of her prayers. Unable to feel any hint of God’s existence – neither in her heart or in the Eucharist, she lived in a permanent state of silent misery and despair. The church assigned many priests and bishops to try to help her recover her faith, but all of them ended up failing. Putting her intense inner turmoil aside, Teresa was always cheerful in public, which she did not really feel. Her letters reveal that this was a act of deception, she called her smile “a mask”. Although her letters show she considered atheism on more than one occasion, Mother Teresa never publicly admitted the truth about how she felt (She asked the church to destroy her letters, but they rejected her request.) Mother Teresa’s inner suffering was not helped by the Catholic church. If anything, their teachings only added to her problems by encouraging her to stay and suffer rather than explore different paths where she might have found happiness. Some of Mother Teresa’s confessors told her that her darkness was a blessing granted by God that let her experience some of what Jesus felt while being crucified. Mother Teresa’s struggle with her decades-long crisis was hard to overcome but what she went through brought her to who she is as a prophet. When Mother Teresa received her first calling she was on a trip to an annual donation to the chapel of the Madonna of Letnice atop Black Mountain at the age of 12. 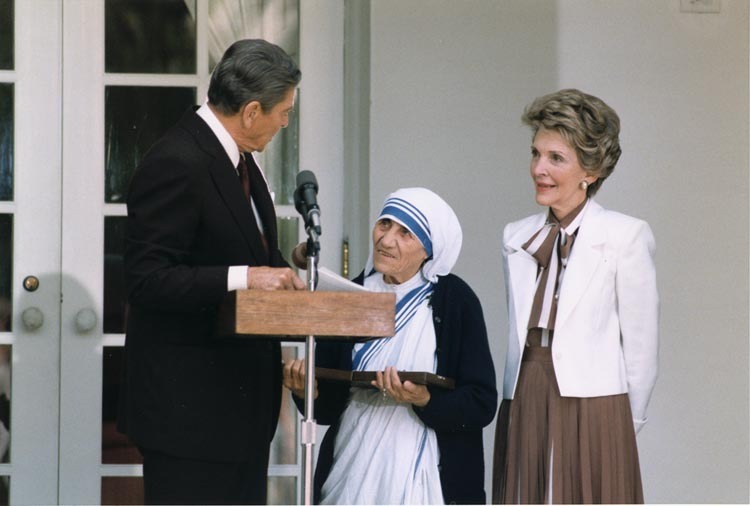 Mother Teresa was in no specific crisis at this point in her life but when she experienced her second calling Mother Teresa was going through what many people today experience, and that is a loss of faith and not knowing where they stand with their beliefs. In todays society, people are more likely to care more about themselves rather than other people, resulting in isolation and distancing themselves from family members, friends and God. In America, 21% of people do not believe in God or the afterlife. In this day and age we pray and attend church less often and we consider religion less in moral decision making which does not only affect our relationships with ourselves, friends, family and God but it affects some aspects of our global community by cutting yourself off from everyone and refusing to treat others and yourself as the likeness of God. The Mother Teresa Foundation runs many things to help give back including an educational program, computer training program, rural health, rejuvenation program and they are also currently building an orphanage. You can help just by following in Mother Teresa's footsteps with a random acts of kindness, spread awareness about current issues, and also just by a simple smile. 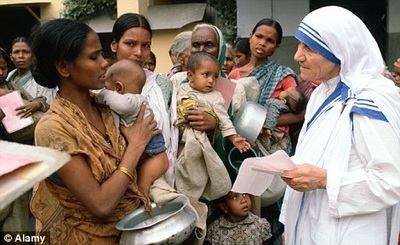 You can also sign up to be a volunteer or make a small donation to the Mother Teresa Foundation. She once traveled through a war zone to rescue 37 children from the front lines.